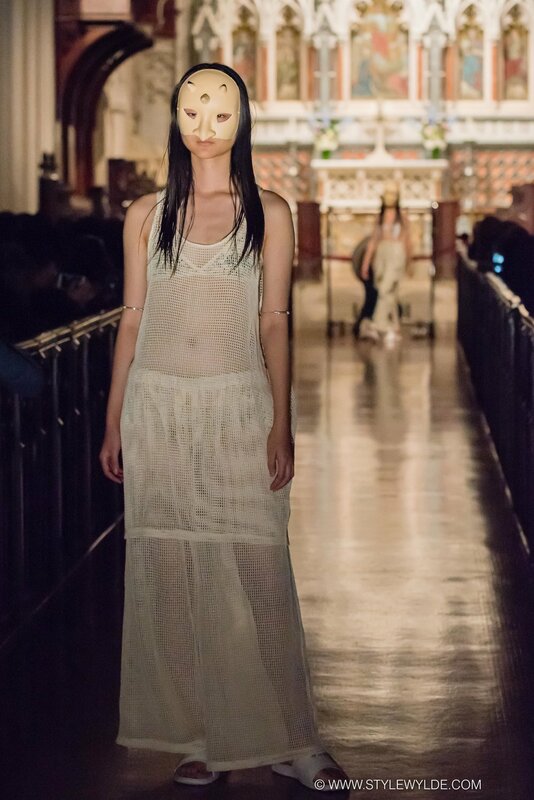 Dark (very, very dark) and mysterious, ethereal and just a little bit unsettling, the Ikumi Spring 2017 runway show was one of those rare New York Fashion Week experiences that takes a few hours after the event to really process what you have witnessed. 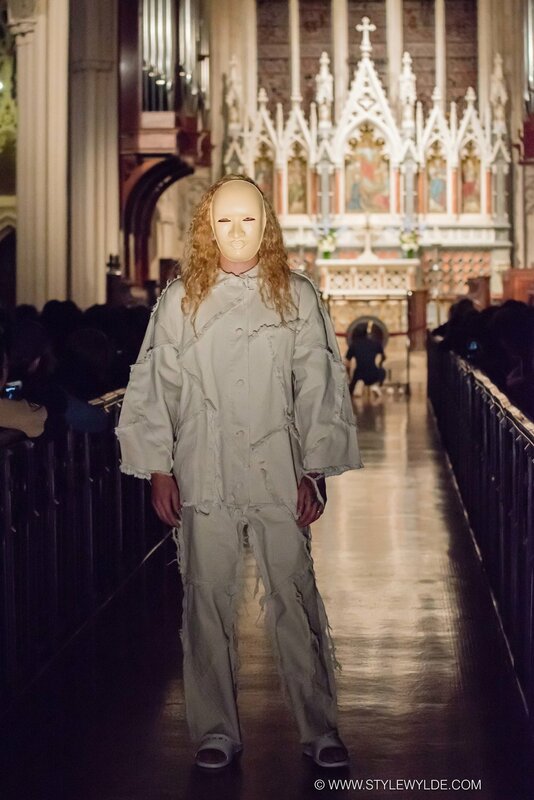 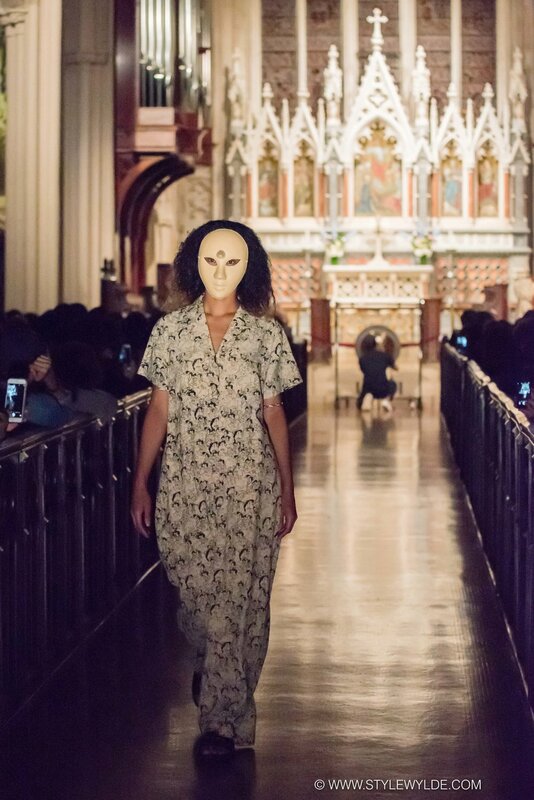 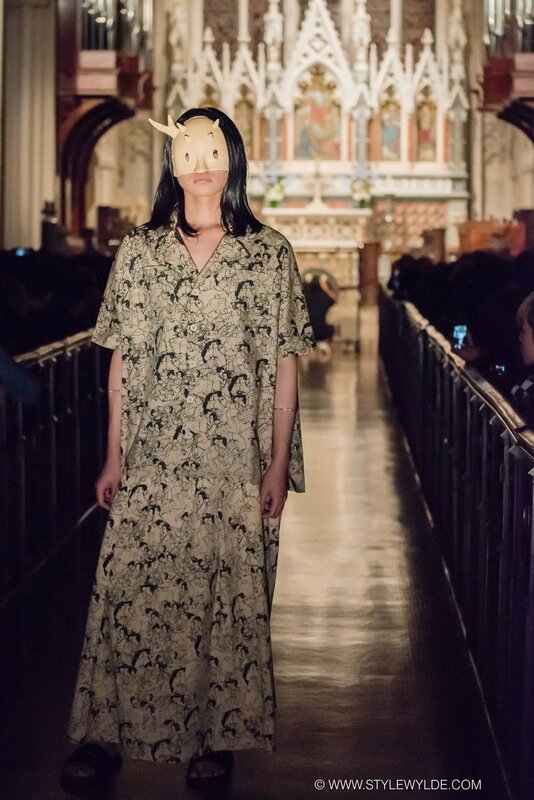 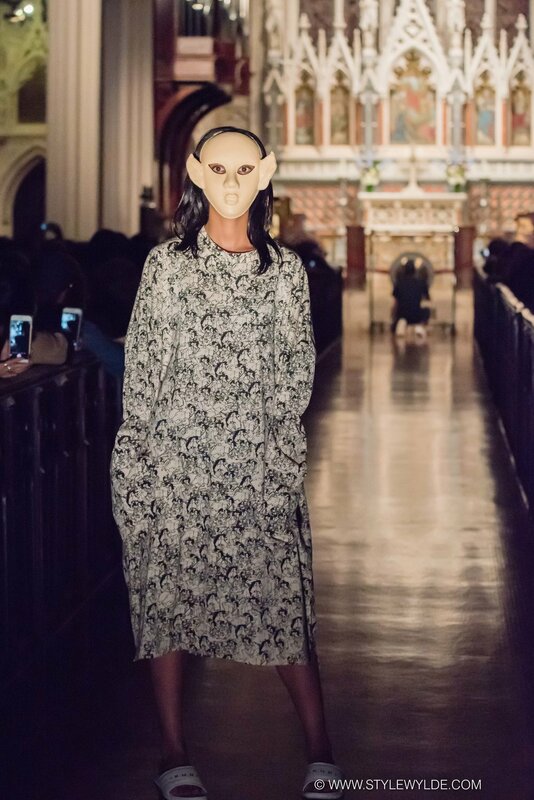 Set in Grace Church in Manhattan's Union Square neighborhood, and accessorized with a series of hand-made masks, the collection exemplified modern Japanese design with well restrained plays on volume, a smattering of twee prints, and plenty of in your face avant-garde art attitude. 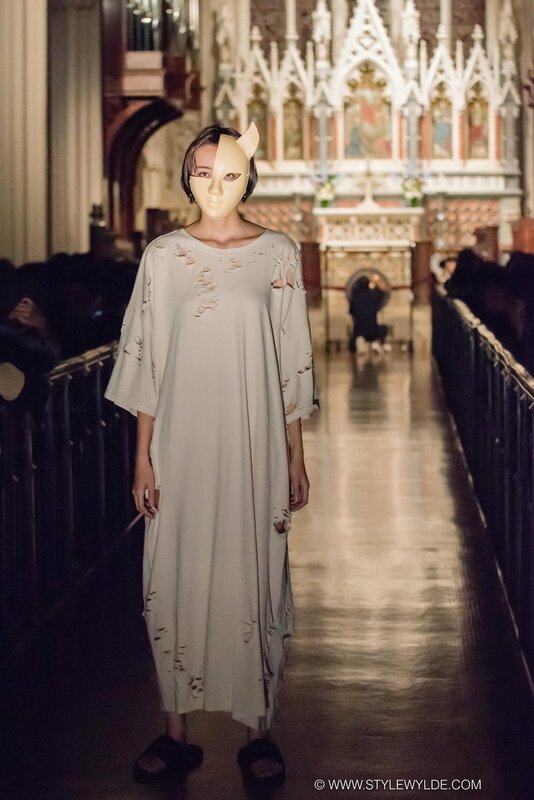 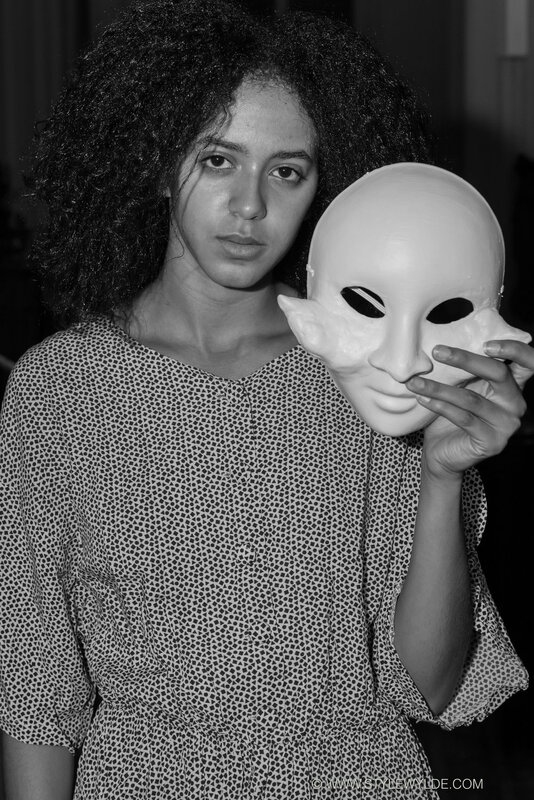 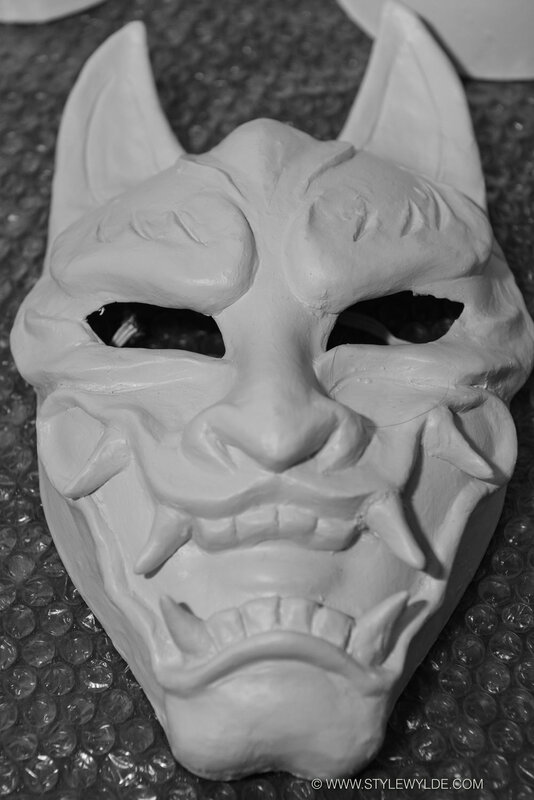 As you can see, Ikumi Spring 2017 was definitely the most memorable show of the entire week, made even memorable by the label's invitation to SW Photographer Cynthia to come backstage before the show to capture an up close look at those beautiful masks, and to capture a few of the models behind them.